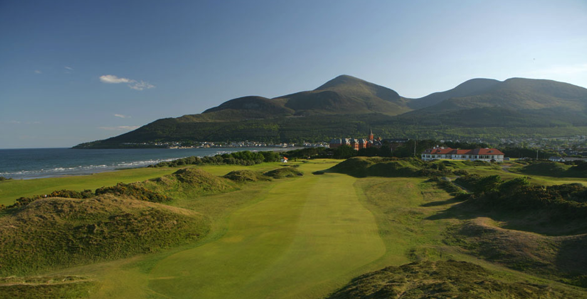 County Down is one of six counties that form Northern Ireland, situated in the northeast of the island of Ireland. Adjoined to the southeast shore of Lough Neagh, the county covers an area of 2,448 km² (945 sq mi) and has a population of approximately 531,665. 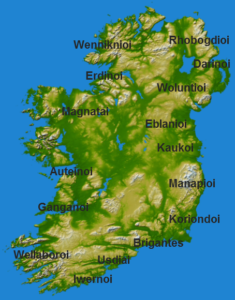 It is also one of the thirty-two traditional counties of Ireland and is within the province of Ulster. It borders County Antrim to the north and the Irish Sea to the east and south. The largest town is Bangor, on the northeast coast. Three other large towns and cities are on its border: Newry lies on the western border with County Armagh, while Lisburn and Belfast lie on the northern border with County Antrim.